peace of mind, tax minimization and consistent growth. To be the catalyst in the planning process. To developing strong, life-long relationships, based on knowledge and integrity. 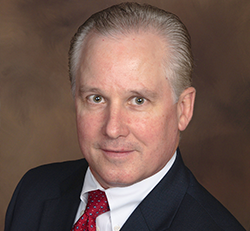 Scott W. Salisbury, has been in the Financial Services industry for more than 25 years. His experience working in various capacities such as financial Planning, institutional Equity Sales, banking and insurance planning lead to the vision, and ultimately the creation, of SWS Financial Group, Inc. It is this knowledge that Scott uses in his practice to help his clients achieve their short and long term personal and financial goals through wealth accumulation, asset preservation and tax reduction strategies. It was Scott’s desire in 2008 to build a practice that focused, not only on wealth accumulation but also on risk management, that was the catalyst for his joining New York Life and New York Life Securities in early 2009. As President and Founder of SWS Financial Group, and through his role as an Investment Advisor Representative with Eagle Strategies, LLC, he continues to provide financial planning advice to individuals, executives, and business owners with a focus on not only managing risk but also reducing taxation! Scott received his BA from Rowan University in New Jersey, before moving to Florida, where he met and married his wife of 26 years, Mary Linda. Mary Linda and Scott are blessed with two children Nicholas and Rachel, who are both in college. In his free time, Scott enjoys spending time with his wife, Mary Linda, and his children, fishing and golfing.